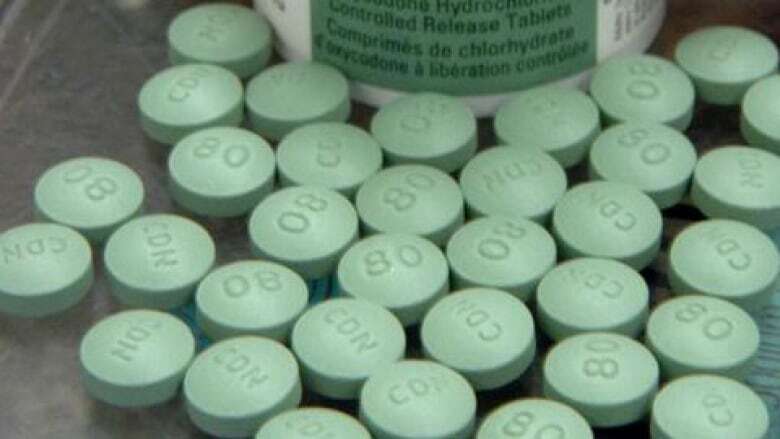 A Moose Jaw, Sask., man is dead after taking what police believe were fake OxyContin pills. Police believe the 27-year-old, who died on Sunday, overdosed on the pills. "The police determined that some of these pills may have caused or contributed to the death," Sgt. Cliff Froehlich of the Moose Jaw Police Service said. Police are worried the blue-green pills with the number 80 are being circulated in Moose Jaw, a city of 33,000 residents. The fake painkillers were connected to several deaths in Saskatoon earlier this year. "It's very concerning. It just shows the mobility of this type of product throughout the province and country," said Froehlich. The pills are being sold as OxyContin, but contain Fentanyl. That's a powerful, synthetic opiate which is similar, but more potent than, heroin or morphine, the police said. Police haven't made any arrests. They're asking anyone with information on the distribution or origin of the pills to contact them at 306-694-7600 or to call Crime Stoppers at 306-694-8477.